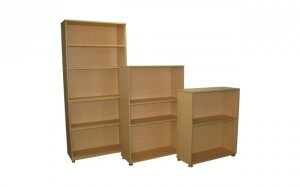 Accord bookcases are sturdy and convenient with adjustable shelves at 35mm intervals. All bookcases are 800mm wide x 320mm deep. Hights are 900mm, 1200mm and 1800mm.